How many times do you watch The Nightmare Before Christmas during the month of October? It's a lot in my house! 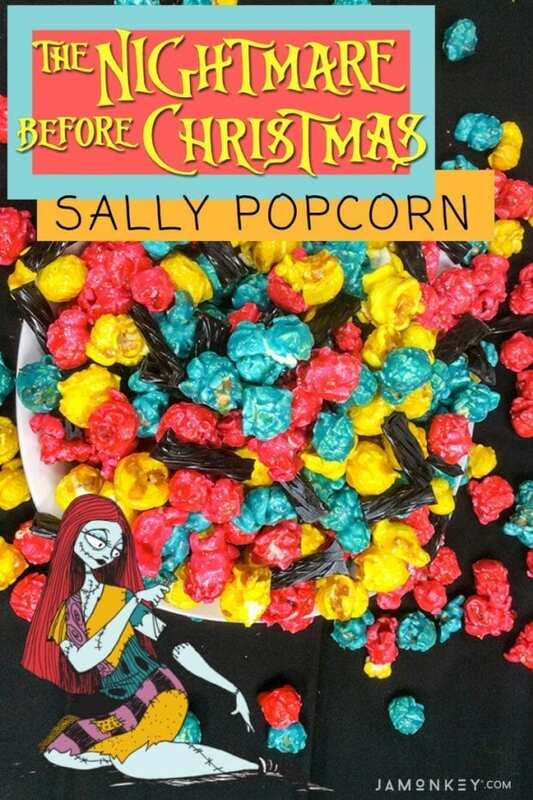 One of my favorite characters is Sally and this Nightmare Before Christmas Themed Sally Popcorn is too adorable to pass up. 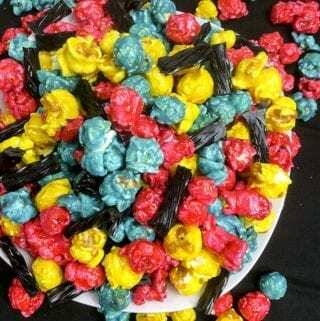 I am a sucker for candied popcorn. 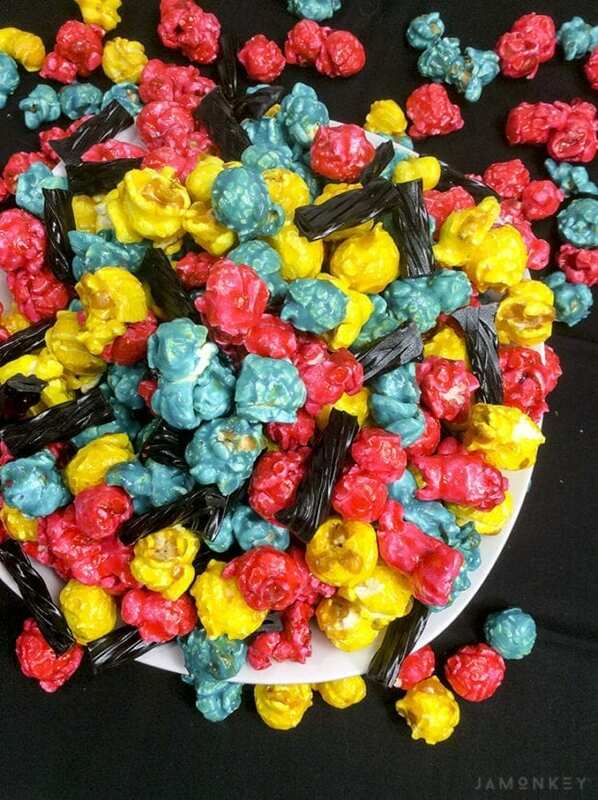 This popcorn is teal, red, and yellow to look like Sally. 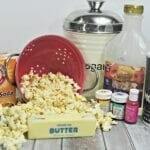 Candied popcorn is a fantastic way to make any themed party fun because of all of the fun flavors and colors you can create. If you love Sally as much as I do, you'll also love these Sally Cookies. In two medium saucepans over medium heat. Add 1/2 of each of the following ingredients to each saucepan. Add your butter first and melt. 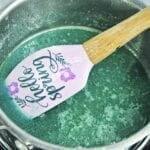 Stir in sugar, corn syrup, vanilla, and salt into both saucepans. Bring to boil while stirring consistently. Split the mixture into 4 small mixing bowls. Mix all bowls until the mixture is evenly colored and combined. 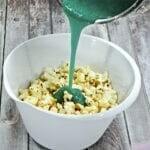 Pour the mixture over the popcorn and stir to combine and evenly coat. Place the popcorn in the oven.